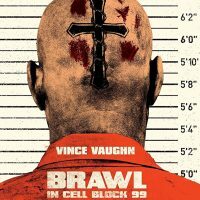 What an amazing change of genre for Vince Vaughn from a ‘Wedding Crasher’ to a ‘head crusher’.. For yes, in ‘Brawl on Cellblock 99’ Vince does literally crash head with his prison issue boots!. This was a truly visceral production and a masterful addition to the prison violence genre… Vaughn plays Bradley a former boxer turned mechanic who finds himself at a low point in life – no job, no money and a marriage on the rocks. His wife Jennifer Carpenter is ready to leave and he sees only one way out from this predicament – to become a drug courier. For a while all goes well and we see him shift up the ranks and build a middle-class life for himself and his now pregnant wife. Unfortunately, things go badly awry when a drug deal goes wrong and he finds himself in prison. He resolves himself to do his time quietly and get out swiftly but the drug gang have other ideas for him. 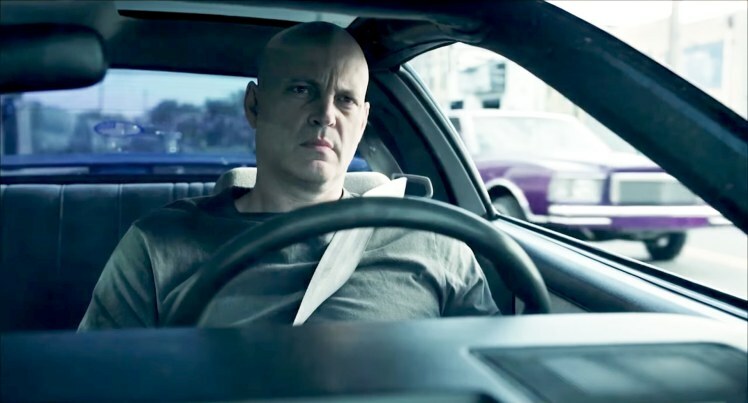 They abduct his pregnant wife and force him to get transferred to the notorious Cell Block 99 to assassinate a targeted prisoner. He makes the move but when he is incarcerated in this hellhole of prison life he realises that he has been set up by the gang to be the victim himself. He is tortured violently by both the prison guards and a group of inmates from the drug gang who were caught partly because of his actions at the drug deal that went wrong. Vaughn shows off his skills as an ex-boxer and his ingenuity as a prisoner by overcoming the guards and turning the tables on his tormentors.. He spends 3 minutes literally crushing heads and bargaining for his wife’s life. Bradley’s other protagonist is Don Johnson as the maximum security prison warden, with his electric stun belts is a cynical vision of the prison system at its most evil. As much of a threat to Bradley as the drug lord that put him there, he made my skin crawl every time he was on screen. The end is predictably gruesome but if you like this type of cult movie as much as I do then it is well worth going to see. I enjoyed Zahler’s last work Bone Tomahawk and this production carries on his wrenching cinematography.